...this is a little sneak peek of the class.. 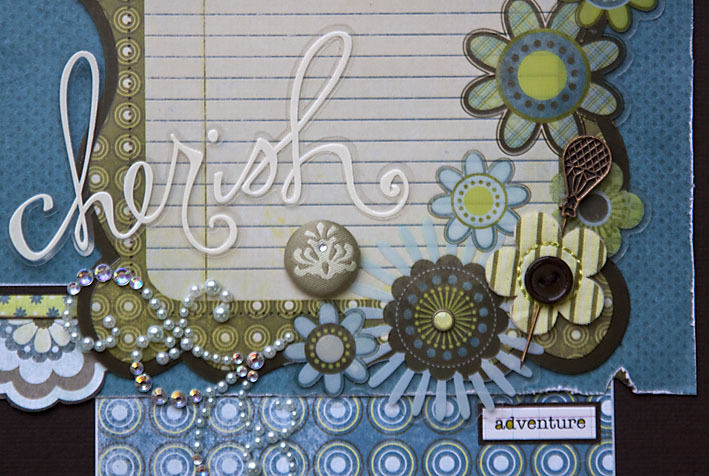 This layout works beautifully for any theme and you can choose your own papers. Please note: this is not a kit-class. 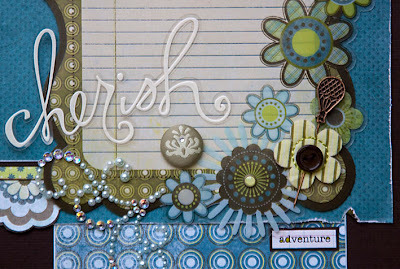 You will use my layout as the basis for the layout that you will "build" in class .... then you can choose your own title, papers and embellishments to make up the theme that will fit your photos. It will be great fun to create together.